آقاسی, آفرین, آتش پور, سید حمید. (1396). تاثیر مداخله مبتنی بر رفتار درمانی دیالکتیک بر وسوسه مردان با اختلالات اعتیادی به مواد( افیونی – مت آمفتامین). سلامت جامعه, 10(2), 11-23. آفرین آقاسی; سید حمید آتش پور. "تاثیر مداخله مبتنی بر رفتار درمانی دیالکتیک بر وسوسه مردان با اختلالات اعتیادی به مواد( افیونی – مت آمفتامین)". سلامت جامعه, 10, 2, 1396, 11-23. آقاسی, آفرین, آتش پور, سید حمید. (1396). 'تاثیر مداخله مبتنی بر رفتار درمانی دیالکتیک بر وسوسه مردان با اختلالات اعتیادی به مواد( افیونی – مت آمفتامین)', سلامت جامعه, 10(2), pp. 11-23. آقاسی, آفرین, آتش پور, سید حمید. تاثیر مداخله مبتنی بر رفتار درمانی دیالکتیک بر وسوسه مردان با اختلالات اعتیادی به مواد( افیونی – مت آمفتامین). سلامت جامعه, 1396; 10(2): 11-23. 1کارشناسی ارشد روان شناسی، دانشگاه آزاد اسلامی، واحد اصفهان (خوراسگان)، اصفهان، ایران. 2استادیار گروه روان شناسی، دانشگاه آزاد اسلامی، واحد اصفهان (خوراسگان)، اصفهان، ایران. مقدمه: یکی از مهم‌ترین آسیب‌های اجتماعی، اختلالات اعتیادی و مرتبط با مواد است. پژوهش حاضر با هدف بررسی اثربخشی آموزش رفتار درمانی دیالکتیک بر وسوسه مصرف­کنندگان مواد (افیونی - مت آمفتامین) انجام گرفت. مواد و روش ­ها: جامعه آماری پژوهش حاضر شامل مردان با اعتیاد به تریاک، هرویین، شیره و شیشه مراجعه­کننده به مراکز ترک و درمان اعتیاد شهرستان شهرضا بود. برای اجرای مداخله آموزشی، 45 مرد مصرف­کننده مواد به شیوه نمونه‌گیری غیراحتمالی در دسترس انتخاب و به شکل تصادفی در گروه‌های آزمایش و گواه گمارده شدند. 15 نفر در گروه آزمایش مواد افیونی، 15 نفر در گروه آزمایش شیشه و 15 نفر در گروه گواه قرارگرفتند. ابزار مورد استفاده پرسشنامه عقاید وسوسه­انگیز (beck) بود. طرح پژوهش نیمه آزمایشی، از نوع پیش­آزمون- پس­آزمون با گروه گواه بود. پس از یازده جلسه 90 دقیقه­ای آموزش گروهی مبتنی بر رفتار درمانی دیالکتیک، داده‌های به دست آمده با روش آماری تحلیل کواریانس مورد تجزیه و تحلیل قرارگرفت. یافته­ها: نتایج نشان داد که آموزش متغیر مستقل بر وسوسه مصرف­کنندگان مواد (افیونی- مت آمفتامین) مؤثر بوده است. با این حال تفاوت معنی­داری بین دو گروه آزمایش از نظر تأثیرپذیری از مداخله درمانی وجود نداشت(05/0p>) . تفاوت هر دو گروه آزمایش با گروه گواه معنی­دار بوده است (05/0p>). نتیجه­ گیری: می­توان در کنار درمان‌های دارویی، از آموزش رفتار درمانی دیالکتیک بر وسوسه مردان با اعتیاد به مواد بهره برد. 1MsC. of Psychology, Islamic Azad University of Isfahan, Isfahan, Iran. 2Assistant Professor, Dept. of Psychology, Islamic Azad University of Isfahan, Isfahan, Iran. Introduction: One of the most important social harms is drug addictive disorders. The present study was conducted aiming to investigate the effectiveness of dialectic behavioral therapy on the temptation of drug (opiate, met-amphetamine) users. Material and methods: The statistical population of the study included men with addiction to opium, Heroin, sheereh [boiled and refined opium residue] and glass referring to the addiction withdrawal and therapy centers in the town of Shahreza. In order to administer intervention training sessions, 45 drug users were selected through non-probable available sampling method and put into experimental and control groups. 15 individuals were put into opiate drug experimental group, 15 into glass experimental method and 15 into the control group. The applied instrument was Beck’s questionnaire of tempting beliefs. The research design was semi-experimental with pretest, posttest and control group type. After conducting 11 sessions (ninety-minutes) of group teaching of dialectic behavioral therapy, the achieved data were analyzed through covariance method. Findings: the results showed that teaching independent variable was effective on drug (opiate, met-amphetamine) users while there was not a significant difference between the two experimental groups in case of the effectiveness of therapeutic intervention (p>0.05). The difference between both experimental groups with the control group was significant (p>0.05). Conclusion: Teaching dialectic behavioral therapy can be employed besides medication in treating temptation of men with drug addiction. Pates R, Riley D. The psychological and psychiatric effects of amphetamines, Interventions foramphetamine misuse. 2nd ed. Oxford: Wiley-Blackwell; 2010: 27-38. Self DW, Staley JK. Behavioral neuroscience of drug addiction. 2nd ed. Berlin Heidelberg :Springer‐Verlag ; 2010: 343-86. American Psychiatric Association. Diagnostic and statistical manual of mental disorders (DSM-5®). 5nd ed. Unaitet Stste of America : American Psychiatric Pub; 2013: 481-591. Fizollahi S, Abolghasemi A, Babazadeh A. The Role Of Emotion Regulation, Dissociative Experiences And Intolerance Of Uncertainty In The Prediction Of Craving Beliefs In Drug Abusers With Traumatic Experience. Trends in life sciences 2015; 4(1):184-9.
affective experience and drug choice. Psychoanalytic psychology 2008; 25(3):518-32. Kring A, Davison G, Neale J & Johnson S. Abnormal psychology. United States of America: Hoboken, NJ: John Wiley & Sons; 2007: 287-333. Roozen HG, de Waart R, van der Windt DA, van den Brink W, de Jong CA, Kerkhof AJ. A systematic review of the effectiveness of naltrexone in the maintenance treatment of opioid and alcohol dependence. European neuropsychopharmacology 2006;16(5):311-23. Chaney EF, Roszell DK, Cummings C. Relapse in opiate addicts: A behavioral analysis. Addictive Behaviors 1982;7(3):291-7. Banna KM, Back SE, Do P, See RE. Yohimbine stress potentiates conditioned cue-induced reinstatement of heroin-seeking in rats. Behavioural brain research 2010;208(1):144-8. Heyman GM. Received Wisdom Regarding the Roles of Craving and Dopamine in Addiction A Response to Lewis's Critique of Addiction: A Disorder of Choice. Perspectives on Psychological Science 2011;6(2):156-60. Addolorato G, Leggio L, Abenavoli L, Gasbarrini G, Group ATS. Neurobiochemical and clinical aspects of craving in alcohol addiction: a review. Addictive behaviors 2005;30(6):1209-24. McDermott MJ, Tull MT, Gratz KL, Daughters SB, Lejuez C. The role of anxiety sensitivity and difficulties in emotion regulation in posttraumatic stress disorder among crack/cocaine dependent patients in residential substance abuse treatment. Journal of Anxiety Disorders 2009;23(5):591-9. Aldao A, Nolen-Hoeksema S. Specificity of cognitive emotion regulation strategies: A transdiagnostic examination. Behaviour research and therapy 2010;48(10):974-83. Keough ME, Riccardi CJ, Timpano KR, Mitchell MA, Schmidt NB. Anxiety symptomatology: The association with distress tolerance and anxiety sensitivity. Behavior Therapy 2010;41(4):567-74. Potter CM, Vujanovic AA, Marshall-Berenz EC, Bernstein A, Bonn-Miller MO. Posttraumatic stress and marijuana use coping motives: the mediating role of distress tolerance. Journal of Anxiety Disorders 2011;25(3):437-43. Linehan MM, Dimeff LA, Reynolds SK, Comtois KA, Welch SS, Heagerty P, et al. Dialectical behavior therapy versus comprehensive validation therapy plus 12-step for the treatment of opioid dependent women meeting criteria for borderline personality disorder. Drug and alcohol dependence 2002;67(1):13-26. Dimeff LA, Linehan MM. Dialectical behavior therapy for substance abusers. Addict Sci Clin Pract 2008;4(2):39-47. Bornovalova MA, Daughters SB. How does dialectical behavior therapy facilitate treatment retention among individuals with comorbid borderline personality disorder and substance use disorders? Clinical psychology review 2007;27(8):923-43. Swales MA. Dialectical Behaviour Therapy: Description, research and future directions. International Journal of Behavioral Consultation and Therapy 2009;5(2):164-77. Stotts AL, Northrup TF. The promise of third-wave behavioral therapies in the treatment of substance use disorders. Current opinion in psychology 2015;2:75-81. Azizi A, Borjali A, Golzari M. The effectiveness of emotion regulation training and cognitive therapy on the emotional and addictional problems of substance abusers. Iranian Journal of Psychiatry 2010;5(2):60-5.
van den Bosch LM, Verheul R, Schippers GM, van den Brink W. Dialectical behavior therapy of borderline patients with and without substance use problems: Implementation and long-term effects. Addictive Behaviors 2002;27(6):911-23. Beck AT, Clark DA. An information processing model of anxiety: Automatic and strategic processes. Behaviour research and therapy 1997;35(1):49-58. Linnehan M. dialectical behavior therapy skills Handbook.2004. 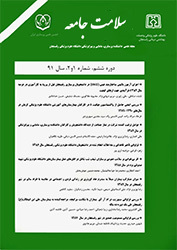 Translation: Atashpour H, Aghasi A. Esfahan: Rahavarde Aftab ; 2016 : 65-129. Schnell K, Herpertz SC. Effects of dialectic-behavioral-therapy on the neural correlates of affective hyperarousal in borderline personality disorder. Journal of Psychiatric Research 2007;41(10):837-47. Rizvi SL, Dimeff LA, Skutch J, Carroll D, Linehan MM. A pilot study of the DBT coach: an interactive mobile phone application for individuals with borderline personality disorder and substance use disorder. Behavior therapy2011;42(4):589-600. Kröger C, Schweiger U, Sipos V, Kliem S, Arnold R, Schunert T, et al. Dialectical behaviour therapy and an added cognitive behavioural treatment module for eating disorders in women with borderline personality disorder and anorexia nervosa or bulimia nervosa who failed to respond to previous treatments. An open trial with a 15-month follow-up. Journal of behavior therapy and experimental psychiatry; 2010 : 41(4):381-8.